Sweet Woodruff (Asperula Odorata) other names: Aspérula, Asperula odorata, Aspérule, Aspérule Odorante, Galii Odorati Herba, Galium odoratum, Master of the Wood, Petit Muguet, Reine des Bois, Thé Suisse, Waldmeister, Woodruff, Wordward. Sweet woodruff is an herb. The parts that grow above the ground are used to make medicine, though medicinal use has tapered off in many countries around the world. Sweet woodruff (botanical name Asperula odorata) is a perennially growing plant that spreads into clumps reaching a maximum height of 8 inches to 15 inches (20 cm to 38 cm). The flowers produced by sweet woodruff have a sweet hay aroma, which enhances as they dry out. Sweet woodruff is a much loved small plant that is found growing on it's own in the forests and also on hedge banks in shaded areas. Sweet woodruff is easy to recognize this plant by its little white flowers that bloom on soft stalks during the period between May and June. Sweet woodruff produces slender, vivid green leaves, which grow in whorls resembling stars in succession something similar to clivers or goosegrass just beneath the flowers. Each whorl of sweet woodruff comprises approximately 8 leaves. However, dissimilar to goosegrass, the stems of sweet woodruff are straight and smooth. As aforementioned, sweet woodruff is a perennial plant having a slender, crawling root stock. Since sweet woodruff has a preference for forest lands and shady locales, when sweet woodruff is grown in partial shade, it develops best dark green foliage. Partial shade here denotes to places where it is difficult for sunlight to enter. If the branches of the plant that provide it shadow are cut away and complete sunlight is allowed to fall on the herb, it will lose its original color and become very pale rapidly. The tiny ball-shaped seeds of sweet woodruff are covered with bristles and they appear when the flowers have withered away. This herb is extremely distinguishing and can be identified or found without any difficulty. Sweet woodruff is indigenous to Europe and also grows in Asia as well as the northern regions of Africa. This herb grows on its own in the forest lands and shaded locations. Sweet woodruff is harvested during the later part of spring when the plants are in full bloom. Sweet woodruff is a perennially growing herb, which serves as an excellent ground cover and spreads very fast. It is possible to propagate this plant by means of root division or cutting during spring. Alternately, sweet woodruff may also be grown by its seeds, which need to be sown immediately when then ripen. However, when grown by its seeds, the germination process is very sluggish. The leaves of sweet woodruff are collected during the later part of spring prior to the appearance of the flowers. After harvesting, the leaves should be hung upside down in a dark place to dry them out. Alternately, the leaves as well as the stems of the herb may also be frozen for use when necessary. Sweet woodruff is considered to be an extremely valuable plant in Germany, where people consider spring to be incomplete without this plant, whose twigs are necessary for preparing May wine. In effect, Germans drink this wine in the form of a spring tonic as well as to greet the new season. Blended with fodder, sweet woodruff is given to cows as it provides their milk a delectable scent. However, it needs to be borne in mind that as in the case of sweet clover, when sweet woodruff becomes wet, it is likely to decompose and turn into molds, which produces an anti-coagulant agent that may result in haemorrhages in the cattle. While the aroma of majority of the herbs disappears when they dry out, the sweet hay scent of sweet woodruff actually becomes stronger when the plant is dried and it also lasts for several years. According to findings by researchers, this quality of sweet woodruff is attributed to coumarin, a chemical substance enclosed by the plant. Often this chemical substance is employed in the form of a fixative while manufacturing perfumes. Owing to the herb's pleasing aroma, there was a time when sweet woodruff was employed in the form of an aromatic herb to perfume homes and churches. In addition, sweet woodruff was also used as a stuffing material for mattresses. When dried leaves are placed in closets, they impart a sweet fragrance to linen and also help to ward off moths. In addition to its use as an aromatic herb, sweet woodruff has also been employed as a therapeutic herb of some significance. The fresh leaves of this herb are used for dressing cuts and wounds, while a decoction prepared from the leaves serves as a cordial and stomach digestive. An herbal tea prepared from sweet woodruff leaves is used to treat liver ailments as well as in the form of a diuretic. Sweet woodruff is thought to possess tonic properties and also has noteworthy anti-inflammatory and diuretic actions. The chemical substance coumarin and flavonoids enclosed by this herb are responsible for its positive effect in treating phlebitis and varicose veins. In addition, sweet woodruff has also been employed in the form of an antispasmodic and is administered to children and adults alike to cure sleeplessness or insomnia. People take sweet woodruff for preventing and treating lung, stomach, liver, gallbladder, and urinary disorders. They also use it for heart problems, “blood purification,” “weak veins,” and other circulation problems. Other uses include treating restlessness, agitation, hysteria, and trouble sleeping (insomnia). Sweet woodruff is sometimes used to relieve nerve pain (neuralgia) and migraine; cause sweating; loosen chest congestion; and increase the flow of urine to relieve water retention. It may be noted that sweet woodruff has a long reputation for being a tonic for curing liver ailments. Sweet woodruff is also globally well known as the aromatic ingredient for making May wine and even to this day this herb is used in punches as well as other drinks. Present day herbalists prescribe sweet woodruff in the form of a purgative as well as an anti-arthritic. Several studies have hinted that sweet woodruff is likely to be useful only for easing the symptoms of arthritis. 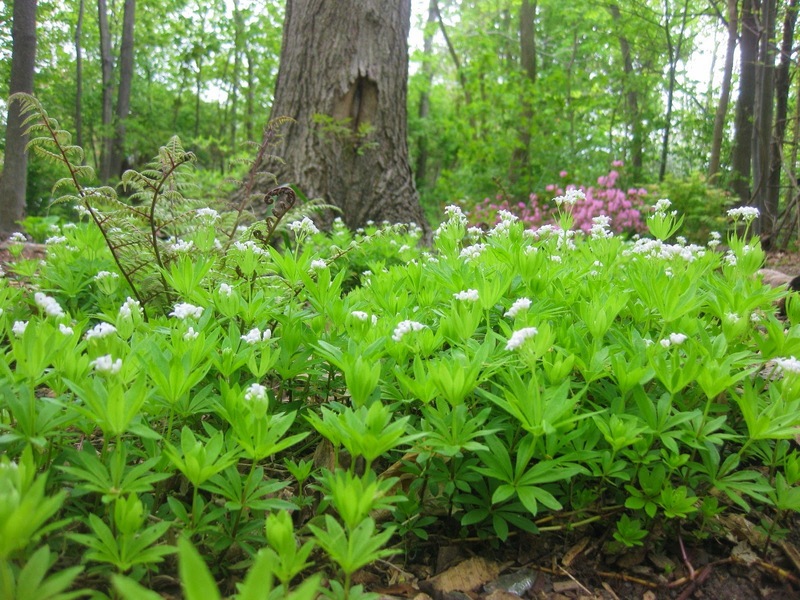 Currently, people cultivate sweet woodruff primarily for its use as a ground cover. Sweet woodruff possesses tranquilizing attributes and infusions prepared from this plant are ingested to treat insomnia as well as nervous irritability. In addition, sweet woodruff also puts off blood coagulation, reinforces the capillaries and is taken orally to cure thrombophlebitis (inflammation of a vein with presence of thrombus). Some people apply sweet woodruff directly to the affected areas for skin diseases, wounds, vein problems, hemorrhoids, and swelling. In foods and beverages, sweet woodruff is used as a flavoring. 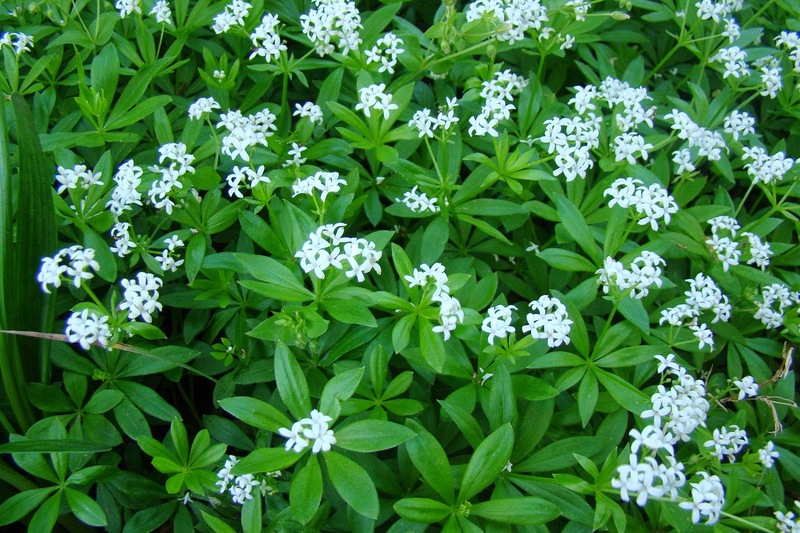 In manufacturing, the extracts of sweet woodruff are used as fragrance in perfumes. Sweet woodruff is likely safe in when consumed in amounts normally found in food. Sweet woodruff is possibly safe when used in medicinal amounts, short-term. Sweet woodruff can cause headaches, blackouts, and liver damage when used long-term. Not enough is known about the safety of putting sweet woodruff on the skin. Pregnancy and breast-feeding: There is not enough reliable information about the safety of taking sweet woodruff if you are pregnant or breast-feeding. Stay on the safe side and avoid use. Bleeding disorder: Sweet woodruff contains certain chemicals that might slow blood clotting. This might increase the risk of bruising and bleeding in people with bleeding disorders. Surgery: Sweet woodruff contains certain chemicals that might slow blood clotting. 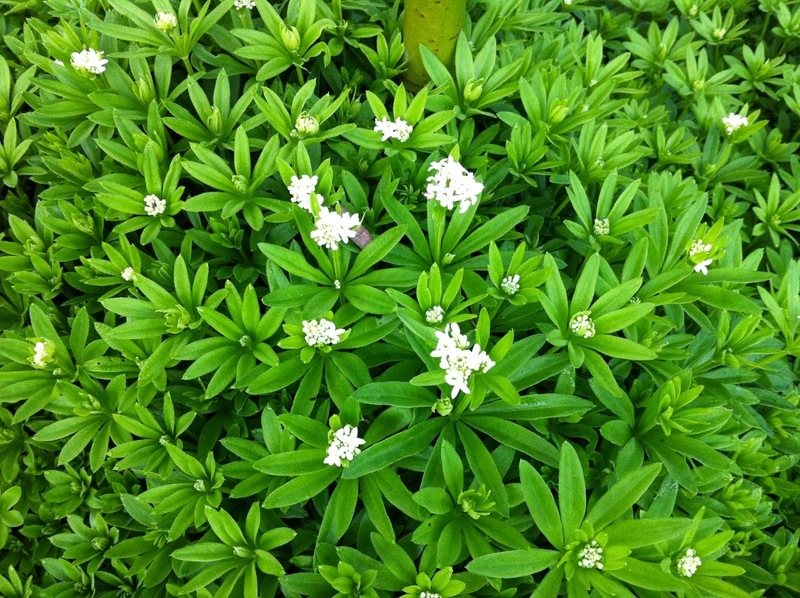 Sweet woodruff might cause extra bleeding during and after surgery. Stop using sweet woodruff at least 2 weeks before a scheduled surgery.